The airline posted a 97 percent drop in net profit, which the management blamed on adverse impact of foreign exchange, high fuel prices and a competitive fare environment. India’s airlines are facing the brunt of soaring fuel costs, but are unable to pass on the costs to passengers due to fierce competition. indiGo's A320neo aircraft engine troubles persist. The management of IndiGo, India’s biggest airline by passengers carried, faced questions from shareholders at the annual general meeting on Friday on a multitude of issues such as yield, grounded planes, high crude prices plaguing it. On July 31, the airline posted a shocking 97 percent drop in net profit, which the management blamed on adverse impact of foreign exchange, high fuel prices and a competitive fare environment. Rahul Bhatia, co-founder of IndiGo, who is the interim CEO, was optimistic. He said the airline still has the lowest cost structure in India and will prevail in this market. Revenue per available seat kilometre — a measure of an airline’s operating earnings — fell over three percent to Rs 3.4 in January-March. Rohit Philip, CFO, IndiGo, said the fall is due to additional price competition. He said fuel price has shot up significantly but the airline was unable to pass onto customers through this stage of fuel price hike. 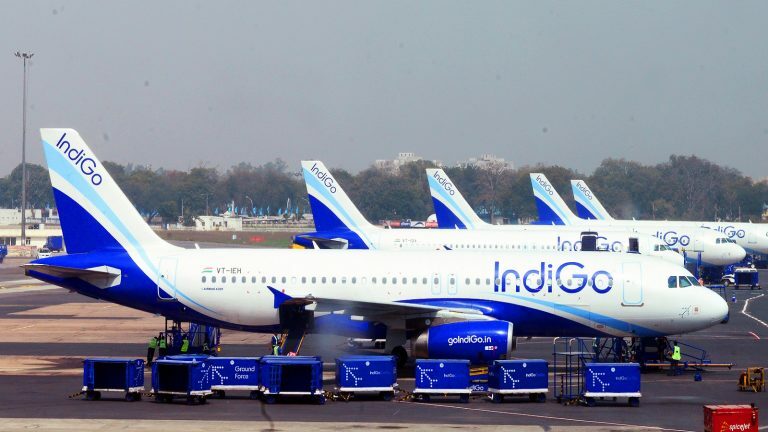 IndiGo also had to cancel several flights after in-flight engine failures pushed aviation regulator DGCA to ground eight of the airline’s Airbus A320neo aircraft fitted with certain Pratt & Whitney engines. The engine troubles persist. Wolfgang Prock-Schauer, COO, IndiGo: said all engine-related issues are now under control. He said the airline has resumed delivery of A320 Neos. Gregory Taylor, an airline sector veteran, who is tipped to be president and chief executive officer, pending approvals, said the airline will focus on ancillary revenue. He said IndiGo is looking at redefining products & increase airline's selling efforts.